This privacy statement discloses the privacy practices for Bloom Roofing Systems. 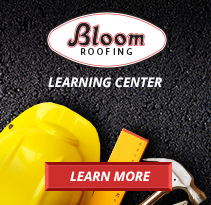 Bloom Roofing Systems is the sole owner of the information collected on this site. We will not sell, share, or rent this information to others in ways different from what is disclosed in this statement. Bloom Roofing Systems collects information from our users at several different points on our Web site. This Web site contains links to other sites. Please be aware that Bloom Roofing Systems does not claim any responsibility for the privacy practices of such other sites. We encourage our users to be aware when they leave our site and to read the privacy statements of each and every Web site that collects personally identifiable information. This privacy statement applies solely to information collected by this Web site. If a user’s personally identifiable information changes (such as zip code or e-mail address), or if a user no longer desires our service, we will endeavor to provide a way to correct, update, or remove that the personal data that was provided to us. Users can call or email Bloom Roofing Systems to change, correct, or remove information. Compile aggregate data about site traffic and site interaction in order to offer better site experiences and tolls in the future. We may also use trusted third party services that track this information on our behalf. If you disable cookies, some features will be disabled but it will not affect you site experience.